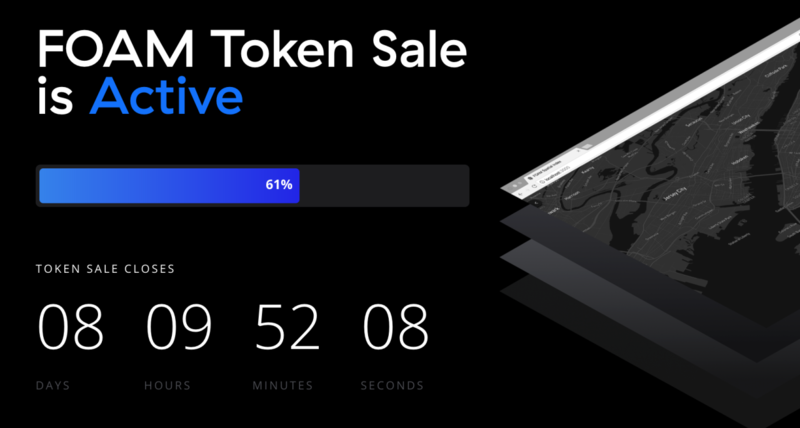 The first day of FOAM Token Sale was a success. Registrants have already contributed $14,831,619 and purchased over 60% of the total amount of available tokens. The token sale runs until August 10th 10am EDT or when the total amount of tokens available in the sale are sold out. We have released a step-by-step guide to assist participants with their token purchase. If you have questions regarding your specific purchase, please contact our token sale partner Token Foundry directly at info@tokenfoundry.com.